Frosting is quite an important element in baking. It’s not a coincidence that there’s a saying ‘The frosting on the cake’ for something which makes good things even better. But a lot can go wrong with frosting – and you don’t want a nice bake spoiled by a cream cheese frosting which is too runny or buttercream which is too stiff of not mixed quite enough, therefore has a very grainy/sandy texture. There are plenty of tutorials on YouTube how to get best results for smooth frosting so I won’t focus on that. But here a little tip if you want to achieve textured frosting (NB: not for piping – chances are it’ll clog your nozzle and this may or may not result into a piping bag explosion and frosting all over): Crushed biscuits. Not only does it look cool if you’re e.g. recreating soil on a garden themed cake or want to create sandy feeling (beaches always have some rocks etc. on them) but it gives the frosting a nice unexpected crunch. The original Oreo biscuits are great for chocolate frosting, while Golden Oreos or rich tea biscuits work well for paler colours (e.g vanilla buttercream or cream cheese frosting). 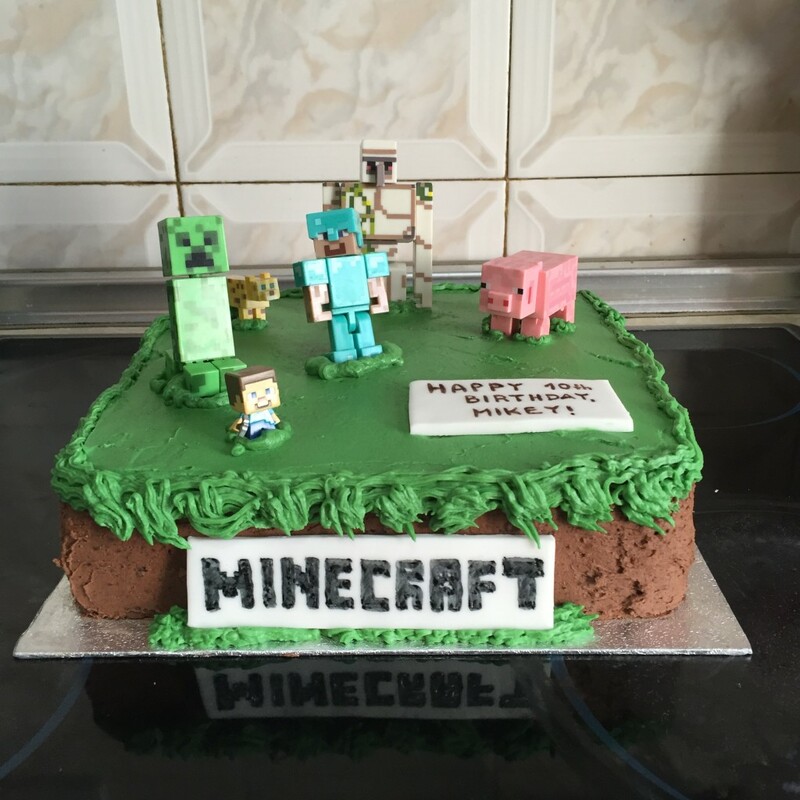 A while ago I was tasked with a Minecraft cake (lucky for me the actual figures we used were toys – phew) and I simply crushed Oreos, popped them in the chocolate frosting et voila! A few people later asked how I gave the frosting the wow-look and taste – and it’s that simple. 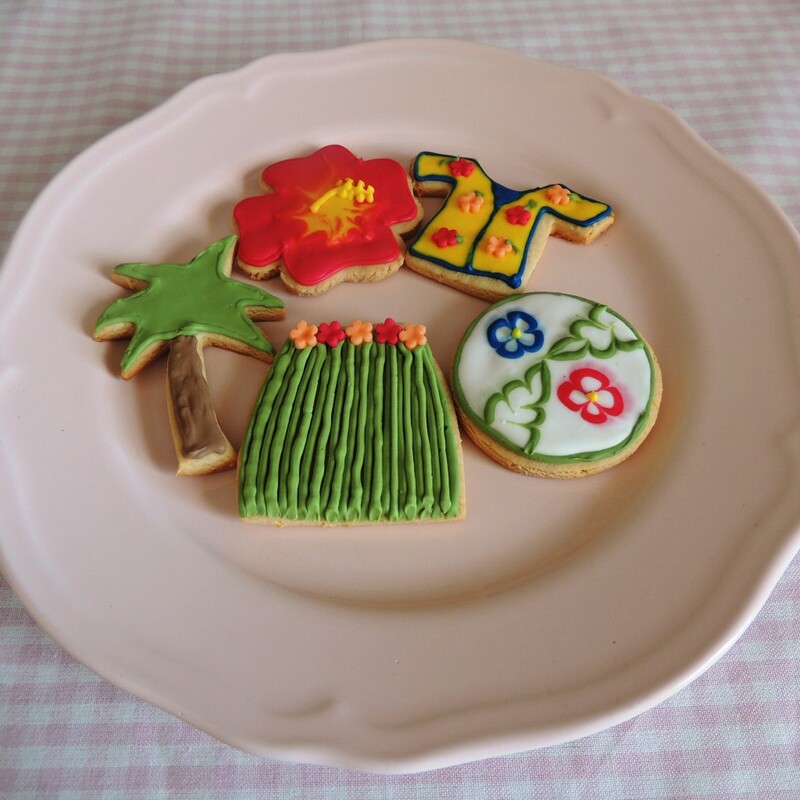 Aloha, you luau cookies and cupcakes! For someone living at the sea side (and spoiled for choice between the Mediterranean Sea and the Atlantic Ocean), beach themed parties are kind of… well, normal. But you add a Hawaiian twist to them and BAM! Success, right? So maybe I didn’t get to attend a Hawaiian party myself but I did participate in its organising one by making adorable luau cookies and cupcakes on order. I chose lemon flavour for the cookies, and Pina Colada (read pineapple and coconut) cupcakes. They turned out fingerlicking good but also really pretty. I used the Biscuiteer’s vanilla biscuits recipe but added 2 lemon zests. I now swear by it! Best one for icing cookies (other recipes I’ve tried soak up too much water from the icing and become soft). They didn’t go soft or break without me having to add too much flour or baking them longer. I mixed and matched for the cupcakes – this base with the pineapple filling, and this buttercream. 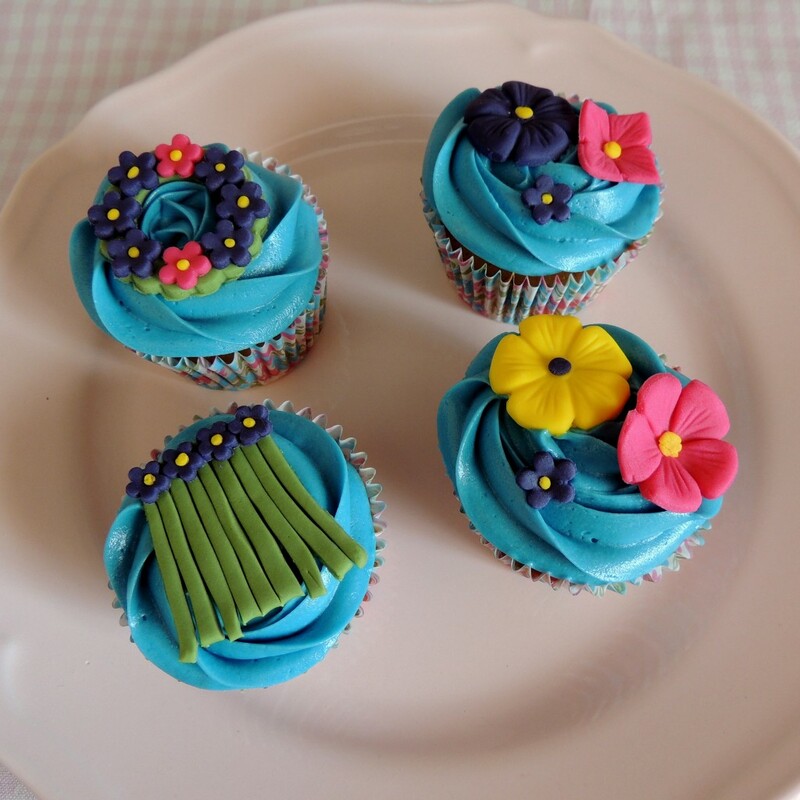 However, Jemma has recently posted her recipe for Pina Colada cupcakes, and it involves Malibu rum, so you might want to use her recipe too. You might be tired after baking so I strongly recommend to sit with a cocktail in hand and enjoy.